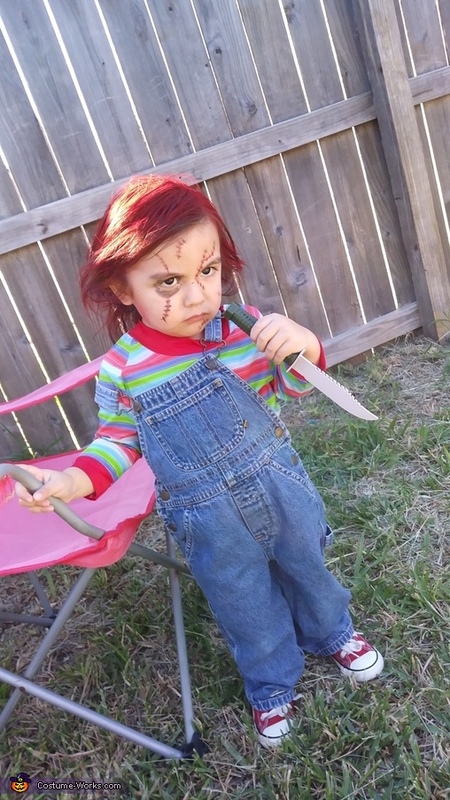 This is Our son Jo'Lion Suarez he is wearing a Chucky doll costume. His shirt was mafe from a material i ordered online and sewn by a friend of mine, total cost on shirt was about $40. His overalls i purchased at a thrift store for about $4 as well as his shoes for $5. This is his second Halloween and overall this costume was a success for us!! !